Short Business Description: Getaway from it all at the East Brother Light Station California Historical Landmark, a bed and breakfast serving meals throughout the day. This historical landmark is a must see for lighthouse history buffs, it is a picture perfect island to hold your wedding or a memorable honeymoon getaway, a fun day trip, things to do idea any time of the year. Stay in the beautiful renovated Victorian rooms built in the 1800’s and enjoy the gourmet menu, soak up the bay area views. If you are looking to offer a helping hand, join their volunteer program to help keep this historical island landmark looking good. East Brother Lighthouse, or more accurately a Light Station, is a beautifully restored California Victorian Lighthouse Dinner, Bed & Breakfast Inn was built in 1873 and is perched atop an island in the strait that separates San Francisco and San Pablo Bays. 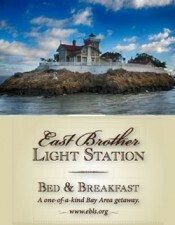 East Brother Light Station Dinner, Bed & Breakfast is an historical landmark. They offer a truly unique and memorable experience for those that visit. Breathtaking views, a nature eco-system, old world lighthouse and photographers delight. Accessible only 10 minutes by boat, this small island off the coast of California near San Francisco beckons you to experience a once and a lifetime stay or day visit getaway a world away from the hustle and bustle of the nearby cities. The lighthouse offers the rare combination of both a “lighthouse dinner, bed & breakfast” and an “island Dinner, B&B,” and is a unique California destination. A place to stay surrounded by nature and views of the California San Francisco and San Pablo Bays. A great gift idea. A relaxing retreat getaway, a wedding gift, an anniversary gift or for any occasion. Available as a film or photography location rental. 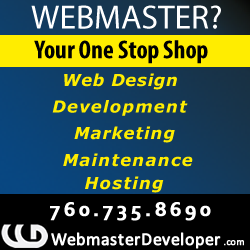 Contact for availability. Visit the web site for how to make a reservation, more details on the volunteer program, history of the lighthouse, to signup for their newsletter chocked full of articles and photos of the happenings on the island or to get a gift certificate.